Scraps - Log Cabin by Louise Donovan. 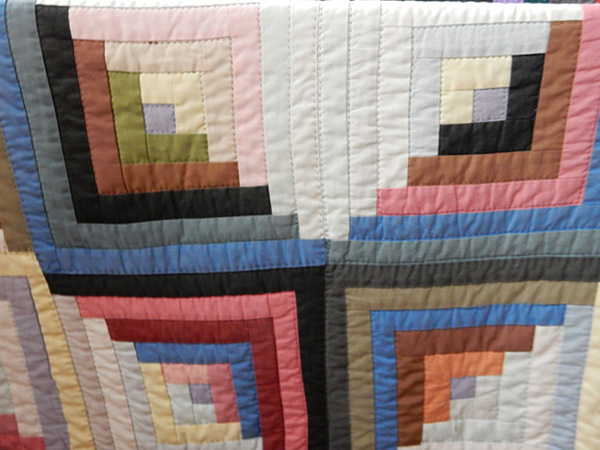 This quilt was made in the late 80s and was made in a traditional Log Cabin design from scraps. 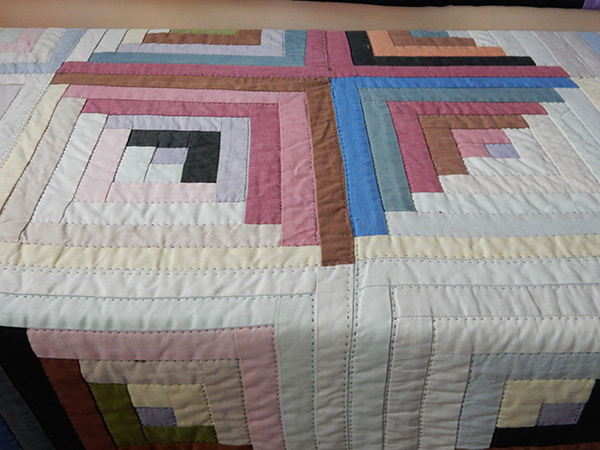 The backing is also pieced scraps. 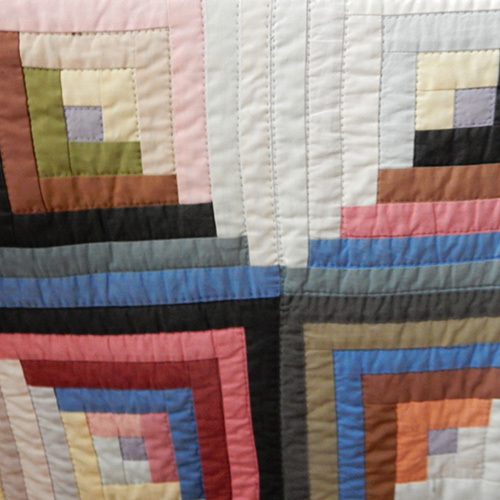 Its original use was as bedding for our Old English sheepdog, Daisy – much to some visitor’s astonishment. 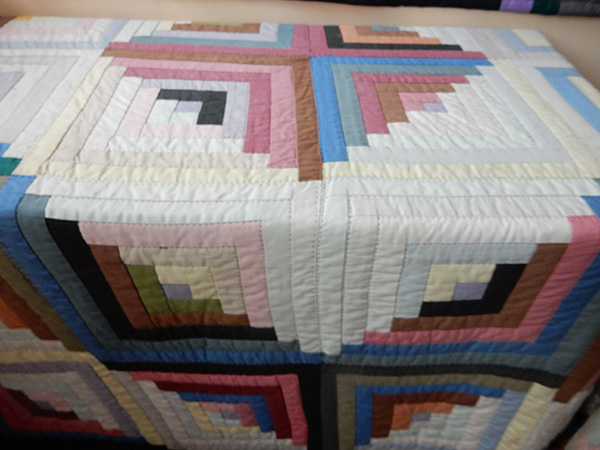 Today it is used to cover a chest while trainee perfect quilter’s companion has a bought cushion bed.